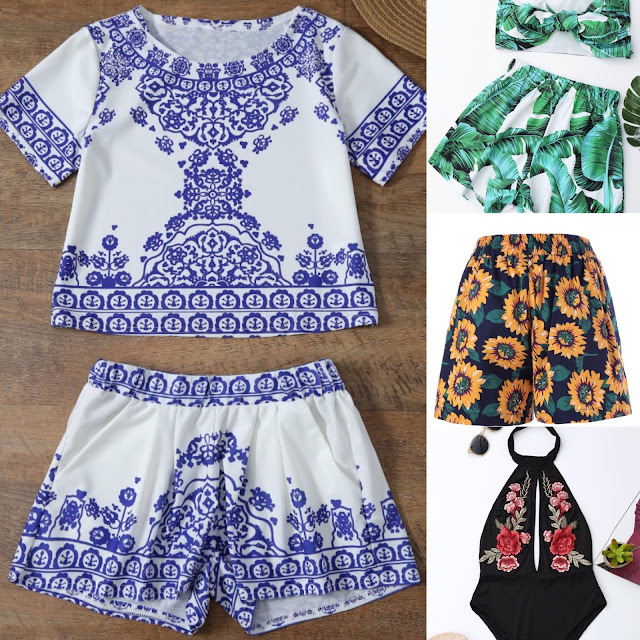 Despite not actually going on holiday until the end of the year, I've been majorly looking for some summer outfit inspiration - basically I've just been creeping on swimwear. I've recently become so obsessed with the lace up style swimsuits, as well as cut out swimsuits & high waisted bikinis. Rosegal is a fashion company that specialises in mixing vintage style and it's 'understated simplicity' and mixing it with contemporary styles to create the ultimate fashion hybrid. As I'm sure you all know by now that I have a very similar fashion style, I love taking vintage looking tea dresses or classic fashion pieces and making them modern & grunging them up a bit. Rosegal offers a wide range of clothing, including some pretty fabulous beachy pieces and swimwear. I am absolutely obsessed with bright yellows mixed with monochrome at the moment and Rosegal's yellow crochet bikini's would look amazing paired with a black cover up/kimono and a floppy hat. Here are some of the items from Rosegal that I've got my eye on that would be perfect summer holiday pieces. As I'm sure you are well aware by now, I'm obsessed with culotte trousers and these beautiful white and black striped Palazzo pants are no exception. These look like the perfect holiday trousers, because of the style they are airy and light, and the colouring won't absorb to much heat. They look absolutely stunning, I love the side tie detail, it really helps bring the look together and makes them look very classic and smart. Bright coloured prints always scream holidays to me, there's something about being in another place where you don't know anyone that brings out a bolder, braver sense of style. I absolutely adore this blue and white floral two piece, it's so beautiful to look at. 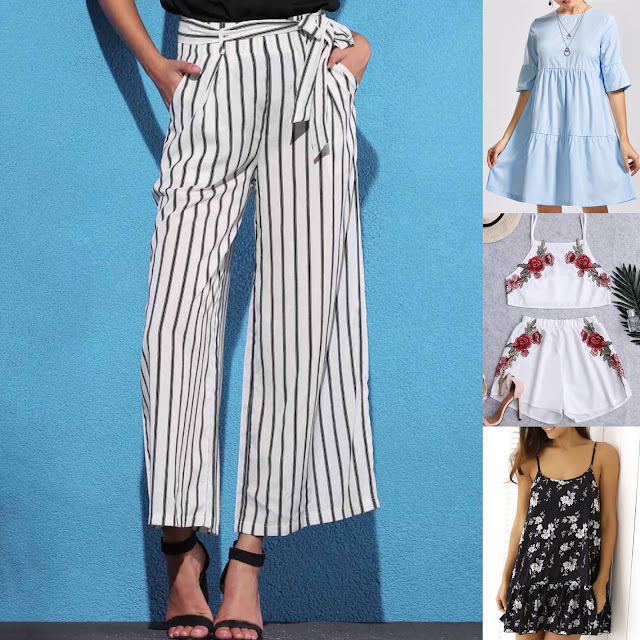 I love co-ords because they are so versatile, you could rock this outfit with flip flops and a hat for a stroll along the beach or doll it up with some accessories and wedges to go out for dinner or drinks. The colours also just scream 'holiday abroad' at me, you know how all the houses you see when you go on holiday are white with blue details? Is that a thing? Or am I weird for noticing that. I would definitely recommend checking out Rosegal if you're looking for some bits and pieces for your holiday. Their clothes look nice quality and are actually really affordable, they currently have some amazing sales and offers on, so go check out their 'deal zone' for some absolute bargains. What's your favourite item from this wishlist? What is your summer holiday staple item? *This post was written in collaboration with Rosegal but all the items were chosen by myself and all opinions are my own.